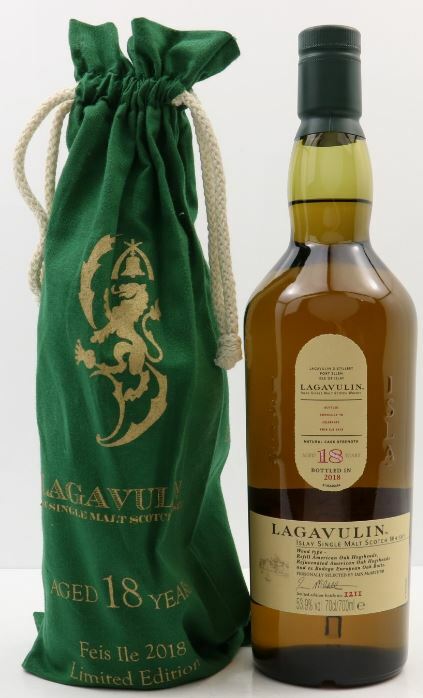 Feis Ile is is over long ago, and It’s time to try some of the highlights of the festival bottling, starting with the most anticipated whisky of them all (at least for me), the Lagavulin edition. Last year’s edition was quite a disappointment , IMHO and I was looking for this year’s edition – personally selected by Iain McArthur and is a marriage of refill and rejuvenated American Oak Hogsheads and ex-Bodega European Oak Butts, aged 18 years old and presented at Cask Strength. Now Ex-Bodega in case you’re not familiar with the jargon, means ex-Sherry casks, not sure why Ian likes to call them like that (he also does that in the warehouse tastings he’s leading …). Sounds yummy, and priced at £130 which is certainly not cheap, but when you come to think of it, is not too expensive in today’s whisky climate (and it’s a Festival Bottling… oh well. the battle is lost). Shall we try some? Nose : lovely smoked meat in sweet marinade, burnt leaves and red fruit, mostly berries, and a hint of tinned plum. The sherry is noticeable but not in the front, adding a nice touch without dominating. The smoke, fruit and grass are very well intertwined producing a fairly complex nose, but easily recognizable as a Lagavulin. Palate: feels more powerful than I had anticipated by the nose, with the smoke being drier, less sherry and fruit effect. Pepper, earth, and bitter coffee bean, with a lot of yummy smoke, and oak,the sweetness is here but dominated by the ashy, bitter dry notes. Finish: dry, ashy and earthy, espresso and smoke,ginger powder and roasted nuts, a hint of wine. Recommended. If you can score one, get it.